Fancy a vacation in Italy? 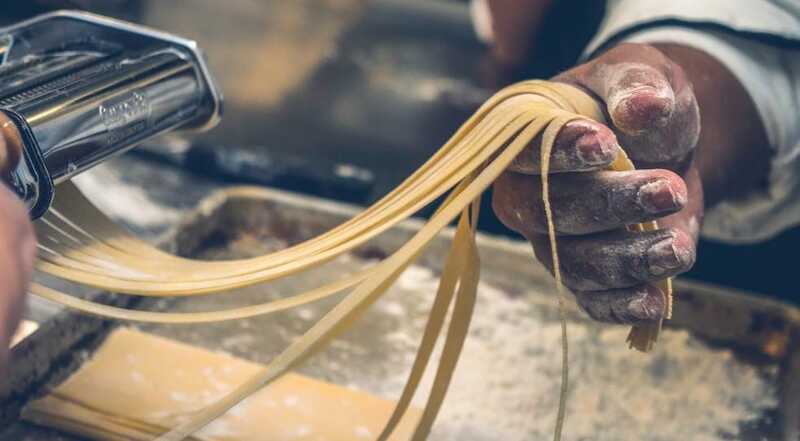 The European country is famed for its historic sights and rich variety of artwork, but there’s something people love about Italy more than anything else – food. You’ve probably already heard of and tasted some of the best-known foods that the country has to offer. However, you’ve never truly sampled the cuisine until you’ve been to the place it originated from. From pizza to pasta and everything in between, this is what you should be ordering on your next Italian vacation. It’s ideal to start off an Italian dining experience with a first course, and for that, we would suggest ribollita. This soup is delicious when the vegetables have recently been harvested. The mix of flavors will have you wondering how you ever managed with plain old tomato soup back home. The traditional dish is great for vegetarians because it uses bread rather than meat (unlike American versions of the soup). It’s amazing how much of an effect a change like that can have. Follow that soup up with a plate of ossobuco. This dish is a piece of veal shank that’s simmered until it’s at just the right, soft texture. 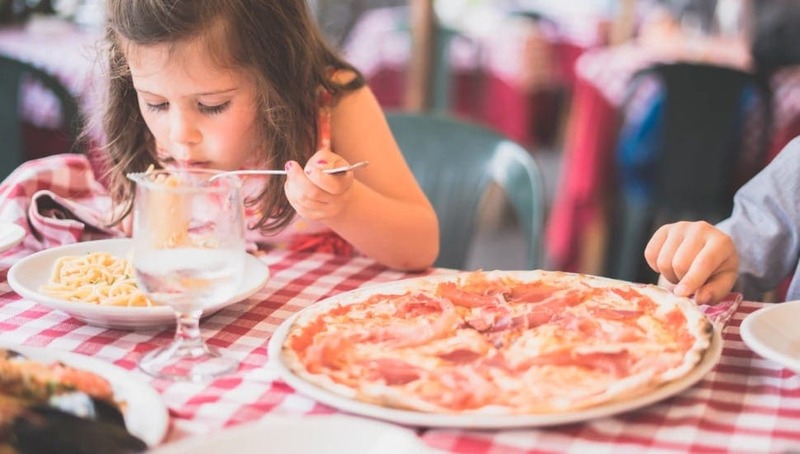 It’s not always easy to find in restaurants because of the long cooking time, so if you spot it on your Italian vacation, then you should take the opportunity to try it out. It’s unlikely you’ll have ever tasted meat quite as tender as this, and it goes great with a gremolata. This is a condiment that combines parsley, garlic, and lemon zest to give your meal a tangy twist. You’re best chance at finding this dish will be in the region of Lombardy, where these kinds of rustic dishes are created all the time. There aren’t many places that serve truffles as a dish. The fungus is certainly a rarity around the world, and thus it’s a delicacy that many people want to try. Lucky for the Italians, then, that truffles grow in several areas across the country. Places like Umbria and Tuscany are no stranger to truffles, and if you visit during the fall, you can sample some of the best dishes they have to offer. You might be wise to start with a dish that is lightly sprinkled with truffles, so that you can get used to the smell and taste. It’s not necessarily for everyone, but if you take a shine to it, your palate will be very appreciative. You’ll find carbonara served in many Italian restaurants across the States. Just like lasagna or spaghetti bolognese, it’s a fairly standard dish in Italy, but that doesn’t mean it’s easy to get right. Until you’ve visited Rome and tried one of their carbonaras, you’ll never know what true taste perfection is like. The best restaurants don’t thicken the carbonara sauce or use bacon, instead preferring to cook the simple ingredients in the most delectable combination possible. If there’s anything that’s served in the U.S. you should try in Italy, it’s this. Well, this and pizza. You can’t beat quality Italian pizza. What’s a main course without dessert? Gelato is the sweet treat of choice in Italy, and it’s clear to see why. It contains less fat than ice cream and has more intense flavors too. So, it’s basically a dessert that’s good for you. Okay, maybe we wouldn’t go that far, but you don’t need to make excuses for yourself if you want to have a scoop or two. The only trouble you’ll have is trying to pick what to have. The variety of flavors on display, many of which are made with fresh fruit, are usually so diverse that you’ll struggle to make a decision. We could think of worse ways to spend your time. Are you hungry now? These delicacies have certainly got our mouths watering, and we’re considering booking ourselves a vacation to Italy. Doesn’t that sound like a good idea?